Explore where you choose, on-board your very own yacht. On a yacht charter, sailors can plan their own itinerary and sail at their own pace. Sailing qualifications are required for sailing a similar type of yacht to that being used with experience of the kind of conditions you might expect to find on your trip. 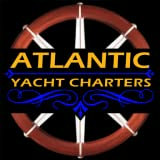 Skippered yacht charter is also available. Yacht racing offers the chance to compete against other yachts, often using a matched fleet, to see who are the best sailors! Yacht sailing in the UK is overseen by the Royal Yachting Association (RYA), with accredited centres offering nationally and internationally-recognised sailing and maritime courses. Courses follow a structured format and include Competent Crew practical, Day Skipper shore-based and practical, Costal Skipper and Yachtsmaster. Most sailing schools provide the yacht, equipment and waterproof clothing included in the price of your tuition. Boat ownership can be expensive once mooring fees, maintenance, fuel and depreciation are factored in; however for some a yacht is a way of life. Yacht racing requires more advanced boats and a different skill-set to cruising.